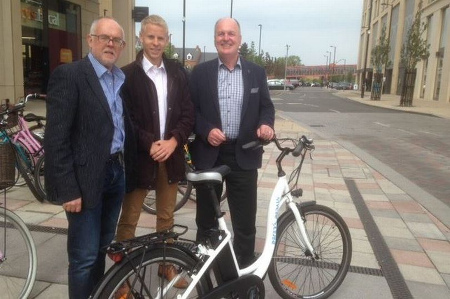 Entrepreneur Peter Dawe's e-bike was one of only four in use in the city. A one-of-a-kind e-bike belonging to the “father of internet service providers” has been stolen in broad daylight on a busy Cambridge street. Peter Dawe, tech entrepreneur and recent Combined Authority mayoral candidate, had his new Peter’s Pedals e-bike stolen from the Quayside area of Cambridge when he was attending a meeting on Monday. Mr Dawe is an outspoken campaigner for innovative modes of transport, and the bikes, produced by Mr Dawe’s own company, can attain speeds of 25 kilometres per hour.